You can purchase Hope here. Just recently I published an article which mentioned this album and the fact that I prepared a review months and months ago but never wrote it. Though that piece was a lament for my failing memory, I’m somewhat pleased that I’ve waited to sit down with Hope again but also, and with the advantage of time, be able to assess it over a longer period. I’ve just seen the band play live again, this being the fourth time, and the trajectory is noticeable. Being able to put Hope into that context helps to shed light on where that recording stands and just how much better the next album is likely to be. To appreciate the Lower 5th, one really needs to see them in a performance setting. From the first song they were able to take a questionable P.A., which had dampened the sound of three performers before them, and make it sparkle – and I don’t remember seeing them twiddle a single fader on the onstage mixing board (they had no sound person this night). There is a cool confidence that gives a band this ability, a power of control to which they may be completely oblivious. It’s a synching-up of sorts that comes from experience and the Lower 5th have been doing their work. They do it joyously, too, an aura that fills a room. They have a natural vibe, they’re bringing it to you, and you are more than likely going to feel yourself tune in. In smaller settings, which a great majority of gigs are these days, they leave Metz’s trap set in the rehearsal room, opting for a cajon (a drum box that is played while sitting on it) instead. On this occasion it seemed to magically have the perfect EQ-ing; the lack of cymbals barely noticeable. All this is not to say that Hope isn’t a good album because it’s very good – chock full of snappy songs; the band have simply taken that goodness and have expounded on it already while finding their groove. There are things that set the Lower 5th apart. The basic nature of the group is acoustic-guitar-driven American rock with the acoustics giving it a folk and somewhat country varnish. Then, they mix in the soul. The opening track on Hope, “Stranded,” is a perfect example of this. Paul Metz lays down a groove while Josh Smith’s keyboards and Jeremy Henning’s trombone ratchet up the soul. Hooks are in no short supply throughout Hope and “Stranded” has a memorable chorus with fine vocal performances. It’s not all acoustic guitars as is demonstrated on the next track, “Live Wire,” and elsewhere by a very able-bodied guitarist by the name of Cory Swadley. Longtime Madison music fans will recognize the Swadley name because, next to the names Masino and Ripp, there are few other family monikers that have produced a few generations worth of great players. Swadley may not ride the stage on a skateboard-outfitted guitar like his uncle did (that is not an exaggeration!) but his place alongside Luke Jorgensen in this band creates a solid one-two punch. Jorgensen is the engine, writing the songs, singing many of the lead vocals and playing acoustic rhythm guitar. He does it all with a smile; he knows it’s groovy. Another aspect that sets them apart is the way Jorgensen plays onstage. He’s the lead force in the band but he doesn’t take center stage. He sets up on stage left so he can naturally turn to the band. It reminds me of JJ Cale who would sit on the side of the stage, facing across it, claiming this allowed him to groove better with the band. Jorgensen is much the same way, he plays at an angle, not directly facing the crowd. If there’s one vibe this brings to the Lower 5th it’s one of family. The best bands have that comradery and there is an occasional Dead-ness that seeps through their music. Bassist Audrey Pescitelli anchors the band and that is noticeable on “Tragic,” a snake-charmer of a tune that builds the tension until the trombone relieves it. All the while Pescitelli’s bass keeping it cool down low while Swadley riffs in rocking fashion. A great instrumental arrangement that is sealed off by another fine vocal from Jorgensen complete with hook. 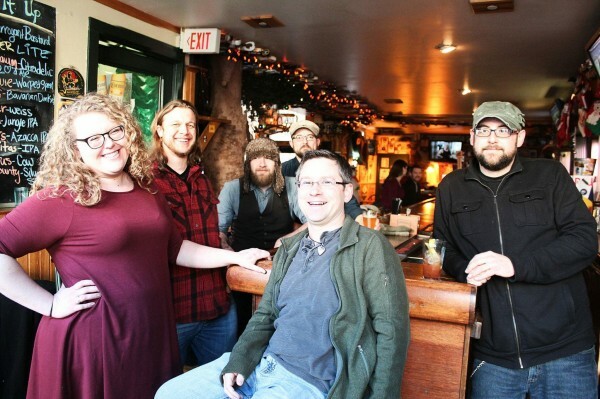 The country side of the band comes through on the album’s title track a song that sounds immediately “Wisconsin.” A trombone solo and the drawn-out acapella at the song’s end has that Midwestern drawl that will bring a smile to any Sconnie’s face. The choral vocal break in the middle has a bit of a gospel throwdown to it. Later in the album “Life and Death” employs a very similar formula. Swadley’s finest moment on Hope comes on “All My Beliefs,” perhaps the overall best song on the album. Here he rips off an impressive extended solo but it’s also his guitar hook on the intro and his use of swelling that stamp this one with his signature. The rest of the band rise to the occasion, Though Smith’s keyboards my ride along in the foundation of the arrangements, it’s his colors that suggest the feel in many of the songs. Jorgensen delivers his most impassioned vocal. The Lower 5th can have a distinctly Tom Petty-ish quality – they cover some of Petty’s songs live – and that comes to the fore in “Let Love In,” where one could imagine this on a Heartbreakers record. Like Mike Campbell from that band, Swadley’s leads have a recognizable tasteful quality. Along with “All My Beliefs,” album closer “Last Goodbye” is another achievement. Ken Leiser (Wheelhouse) guests on violin, propelling the band to another level. Shades of Kansas along with a Spanish feel from the trombone give this fitting closer a unique and powerful quality. But to go back to this band in performance; it’s clear they are finding their sound more and more with each passing day. The way they can take a soul tune, a pop tune, even a Stevie Wonder and a Jackson Five hit and make them their own is commendable and really entertaining. Hope is a great recording but the Lower 5th is likely to produce a distinctive body of work as long as the stars are able to stay aligned. Remember this when you choose to see a band, support them with your presence and especially by buying their merch. You’re helping them to stay aligned. This is what makes music and the development of a band communal. 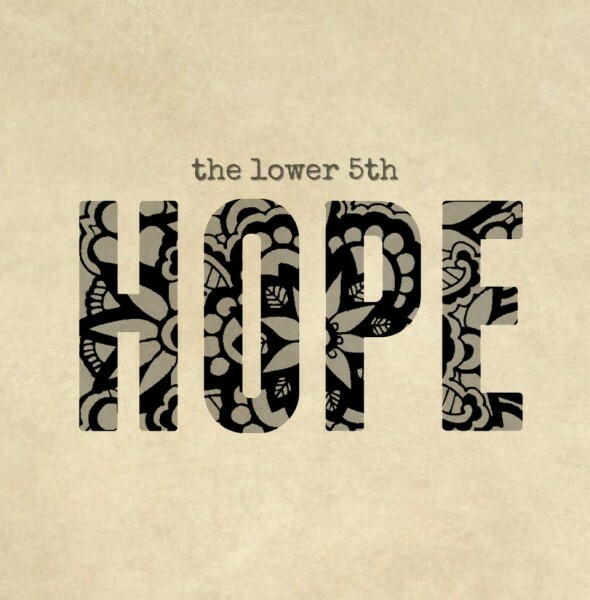 The Lower 5th want to give you their love and bring you into their family, an invitation that should be joyously accepted.